UNIBEN GIST: UNIBEN students gets more international invitation. UNIBEN students gets more international invitation. 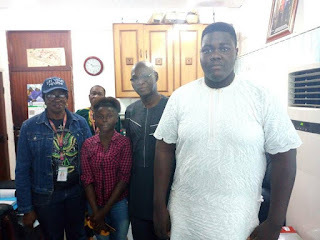 , a 200 Level Student of Human kinetics , the present Nigeria​ University Games Champion in Judo ,came top at the Judo Nigeria U-17 Championship in Abuja last week. Adegoke Oluwaremi Faith will be representing Nigeria this year in Algeria, making it more than 10 of our students who will representing Nigeria Overseas this year . University of Benin Sports Center PRO.